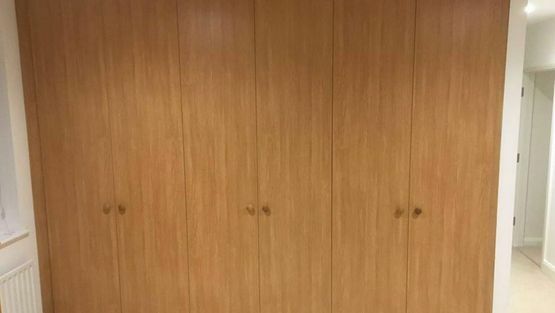 Enhance a space in your property with one of our crafted wardrobes. Custom-made to your exact specifications, we go above and beyond to ensure your product is exactly how you envisioned it to be. Throughout the process, our experienced team are always on-hand to offer advice and answer your questions, so please do not hesitate to ask. 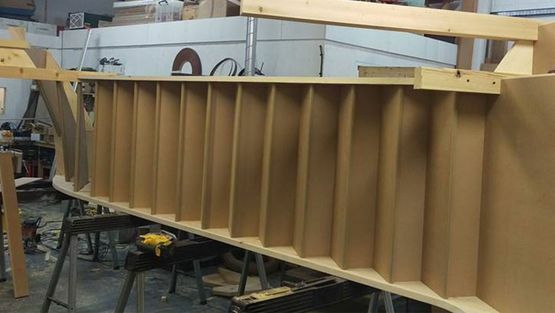 As part of the personalised joinery service we offer, our capable team install your product as well as creating it. To find out more about the products we produce which include staircases and doors, please contact our team in Horsham, West Sussex. Using the highest quality materials, we create a bespoke staircase that matches the décor in your property perfectly. During your consultation, one of our proficient team discusses several staircase options with you including materials as well as measuring-up. Many of our customers choose oak for their staircase as it is a lightweight and durable material that adds a luxurious feel to your property. Once our team have measured-up your staircase, a free quote is provided for you. Brighten up the outside of your property with new windows and doors. 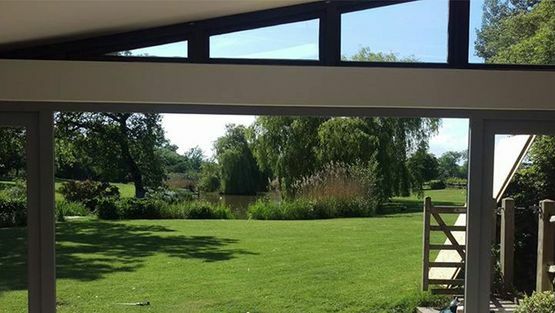 Covering all aspects including double-glazed units to single glazed units, we offer you a complete external joinery service. To ensure your windows and doors are hard-wearing, our joiners finish them with a micro-porous primer and paint which prevents the wood from rotting. Whether you want to change one window or all the windows in your home, our experts meet your requests. Crafted to the highest standard, our bespoke wardrobes are a perfect addition to any property. For your peace of mind, our wardrobes are produced from start to finish in our workshop so cannot be bought off the shelf. In your consultation, we discuss the design of your wardrobe as well as what storage you would like and we also add the finishing touches including the handles. Alternatively, you can supply your own wardrobe handles. Contact our expert team in Horsham, West Sussex, regarding our array of joinery services which includes producing staircases.